This simple twist on a Caesar salad gets a hit of gag inducing grossness from the name. I’m very proud of it. 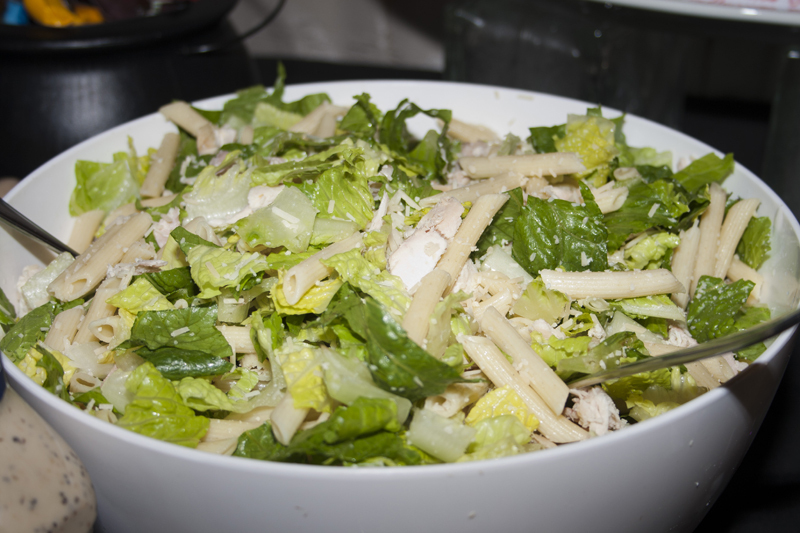 It’s pasta tossed with romaine lettuce, Parmesan cheese and (if desired) chicken. I rip up a rotisserie and throw it in there. I leave the dressing on the side (labeled “snot) so the salad doesn’t get soggy during the party – and everyone can decide how much gooey grossness to pile on. Tee-hee! Chop Romaine into bite sized pieces and combine with the other ingredients. Toss with the desired amount of dressing.